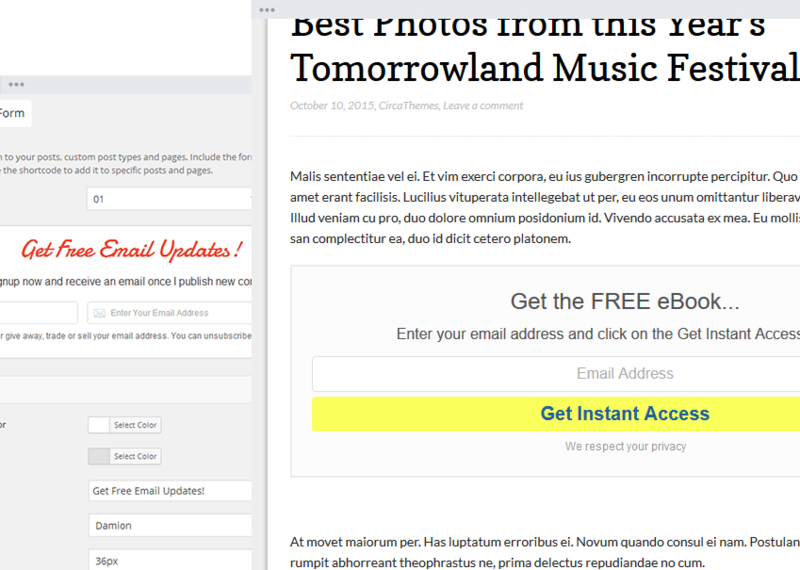 Works with: AWeber, iContact, MailChimp, Get Response, MadMimi, and Interspire Email Marketer. Change texts, fonts, font sizes, and colors with just a few simple clicks. Works straight out of the box and requires zero coding skills. Those on the go won’t miss out on signing up because your form will look great even on the smallest devices. Reach your global readers using WordPress.org’s Translate WordPress. Any and all issues are handled personally by the plugin author so you never have an unsolved issue. All it takes is a simple widget plugin and a shortcode to connect your form to your sidebar or any other widgetized area. Rest assured your plugin will always be updated and compatible with the latest version of WordPress. Give your form that professional touch by hiding the plugin name. 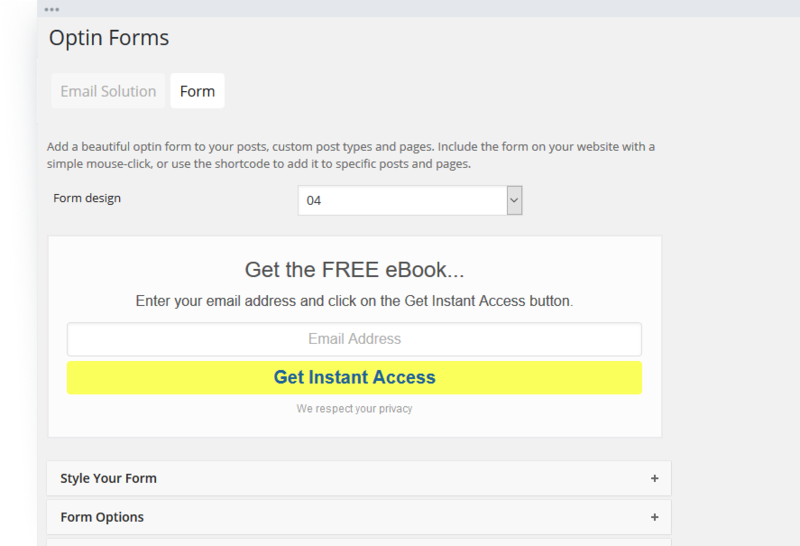 Control your form’s locationplacing it where you readers are most likely to see it. Attract, collect, and convert using Optin Forms. A simple and easy to use optin form plugin that gathers new subscribers, monetizes your website, and looks good doing it! Choose from 5 unique layouts and customize to match your company’s brand. Seamless compatibility with 6 major emails services including AWeber, iContact, MailChimp, Get Response, MadMimi, and Interspire Email Marketer.